Ultra Worldwide, the world’s premier electronic music festival, is proud to announce that it will be bringing three of the world’s most popular DJs to Singapore to perform at the inaugural Road To Ultra Singapore. Taking place on Saturday, 19th September during the Formula One race weekend, the event will be headlined by award-winning American music producer and songwriter Skrillex, Swedish powerhouse Alesso, and Dutch DJ Nicky Romero, who is currently ranked 8th top DJ in the world by DJ magazine. Supporting acts include rising progressive house star Ansolo, Skrillex’s OSWLA label mate Mija, Costa Rica’s Ale Mora and regional standout duo, Rave Republic. Thousands of fans are expected to attend the event at Sands Expo and Convention Centre in Marina Bay Sands, joining more than 2 million attendees of Ultra Music Festivals worldwide. “We are also pleased with the response that we have received so far for the event. Our early bird ticket release sold-out in a recorded breaking 21 minutes and we continue to see excitement grow as the event draws near. The Ultra Worldwide team sees Singapore is a key market to grow the brand and we look forward to hosting an exciting event!” adds Raj Datwani, Executive Producer and Partner of Ultra Singapore. Road to Ultra Singapore early bird tickets and Phase 1 tickets have already sold-out and Phase 2 tickets are on sale now at S$168 for general admission and S$198 for premium admission. VIP tables are also available for reservation from S$4,888 and above. 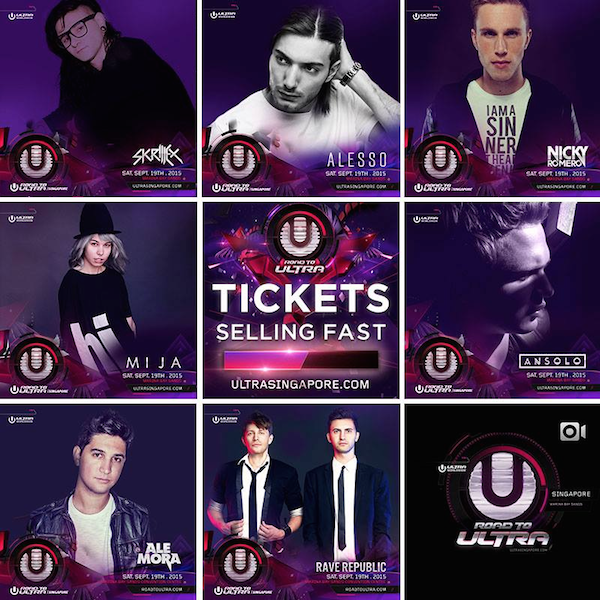 Please email tables@ultrasingapore.com for more information. For more information about Road to Ultra Singapore, or to purchase tickets please visit www.ultrasingapore.com or the Ultra Singapore Facebook page at www.Facebook.com/ultrasingapore. 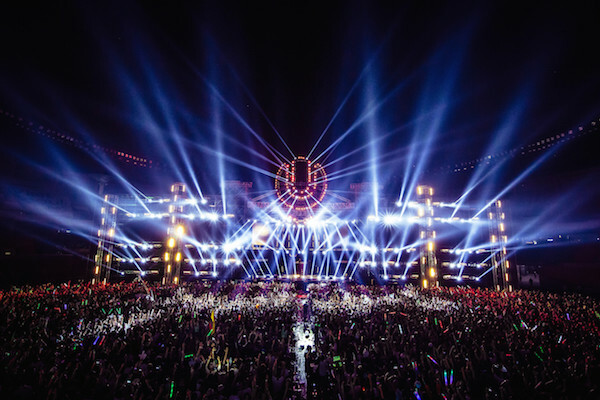 Road to Ultra Singapore has ensured that all requisite permits and licenses have been obtained with the aim of providing the highest quality music festival experience in Singapore to date. Road to Ultra Singapore is sponsored by Marina Bay Sands Integrated Resort and Belvedere Vodka and supported by Pepsi, Red Bull and UBER. Zahirah Macwilson Dianiayai Sharnaaz Ahmad?